Our knowledgeable plumbing & heating staff can walk you through fixing your kitchen faucet, or help you pick out the perfect shower for your new home. With over a century of combined plumbing experience, we can help you navigate any project. Leaky faucets, frozen pipes, putting all new stove pipe in, or a complete bathroom redo, are no match for our team. We stock a large selection of PVC, pex, copper, galvanized and black iron, well pipe, black and galvanized stove pipe, flexible gas lines, and more. With valve stems, septic tanks, O-rings and water heaters, we have it all from large to small. Whether you need just 1 piece as a home owner, or 100 as a contractor, we’re the right place to stop. 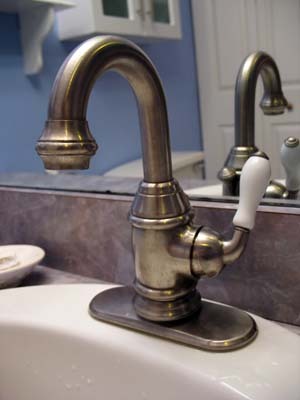 We carry many items you thought were only available at a plumbing supply warehouse. Also, because we purchase many of our plumbing and heating products directly from the manufacturers, our prices are extremely competitive. Home Central’s building supplies store carries an extensive selection of drainage and septic products that will make shopping for your next building project so much simpler. For those hard to find items, like a rare faucet stem or a bathtub we don’t stock, there is no need to worry. Our experienced staff would be happy to special order whatever you need. We have many distributors to call upon when you are looking for just the right look. Pex, flare, sharkbite, and compression fittings. Schedule 30 and 40 PVC, CPVC, copper, galvanized and black pipe and fittings. Faucets, stems, O-rings and repair kits. Black and galvanized stove pipe, all fuel chimney, pellet and b-vent piping. Sinks, toilets, seats, tubs, showers, exhaust fans, safety grab bars, towel bars and plungers. Aluminum and PVC gutter supplies, duct work. Wood stove supplies and kerosene wicks. Septic tanks, drain pipe, sluice pipe and sump pumps. Water heaters, filtration systems, furnace filters and nozzles. Well pumps, shower curtains, drain cleaner, and more. From all-fuel chimney installations, to running a simple dryer vent. We have the products and the expertise to help you get the job done. Free shipping when you use our True Value ship-to-store service.